A stand-alone credit card reader for use with any merchant account system that is compatible with this type of swiper. A stand-alone reader to output card stripe data for driver license, credit cards, etc. to any word processor like Notepad, Word, Excel, etc. 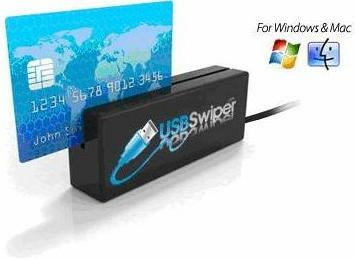 Part of an all-in-one credit card processing solution using one of USBSwiper's merchant account options. See below for a graphic illustration of our all-in-one solution. Click on each product to get more information about it. 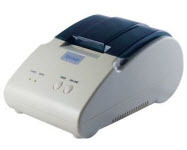 There are four basic components that work seamlessly together (plus any additional optional equipment that you may desire such as thermal receipt printers, etc.) to give you the perfect affordable credit card processing system for your business whether it be large or small. 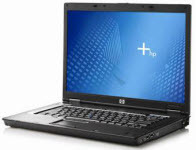 Your Computer (Windows or Mac) Click on each product for more info. Small, lightweight, portable, inexpensive - the Original USBSwiper magnetic stripe credit card reader allows you to easily swipe credit cards for credit card processing - works on both PC and Mac computers with any software or system that can read the data off of Track 1 & 2 magnetic credit card readers. 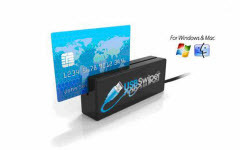 Data off the USBSwiper credit card ceader can clso casily be imported into any Word document or Excel spreadsheet with NO other software required. 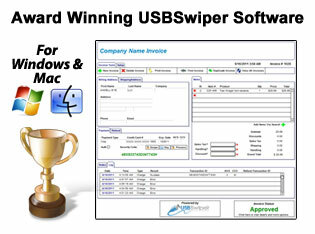 The USBSwiper software Interface provides a point-of-sale user interface that allows you to process credit cards using your merchant account (PayLeap, PayPal, PayFlow, Authorize.Net). 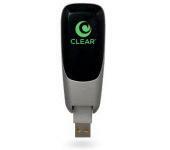 Simply swipe the card through a USB credit card reader and in a matter of seconds the transaction is approved. There are many benefits that our software gives you such as the ability to store transactions and process later in case you lose internet! Click the "More Info" button to see ALL our software's benefits. The merchant account is where your transactions are actually processed and moved in to your bank account. We offer flexible options for merchant services because no two businesses are the same. Whether you're looking for a variable-rate option or flat-rate pricing we can help. Our software is also compatible with popular payment gateways such as PayPal Virtual Terminal / Payments Pro, PayPal PayFlow Pro, PayLeap, and Authorize.Net. 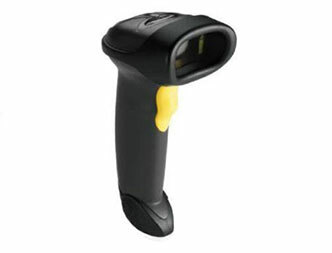 The USBSwiper Bar-Code Scanner is the perfect addition to your credit card processing system. Easily Scan Bar-Codes off of already existing products or you can create your own with FREE Bar-Code Fonts that you can download. You will have the perfect high-tech system to run your Point of Sale Credit Card Processing System anywhere! Don't be left out in the field or office without the ability to print professional looking customer receipts using our portable thermal printer quickly and easily. Prints your Company Info at the top of the receipt and the Credit Card Holder agreement to pay at the bottom of each Receipt!! Printing receipts also protects you from potential chargeback issues from your buyer's credit card companies. Don't process credit card transactions without them. Want the BEST Wireless Internet Card for your Laptop or PC? The USBSwiper / Clear Wireless Wi-Fi Card gives you true wireless mobility out in the field at a price that won't break the bank! Make sure you can process your credit card transactions anywhere you don't have internet connection and get your credit card sales approved on the spot. You get unlimited usage and Lightening fast 4G Speed all at the same low price! !